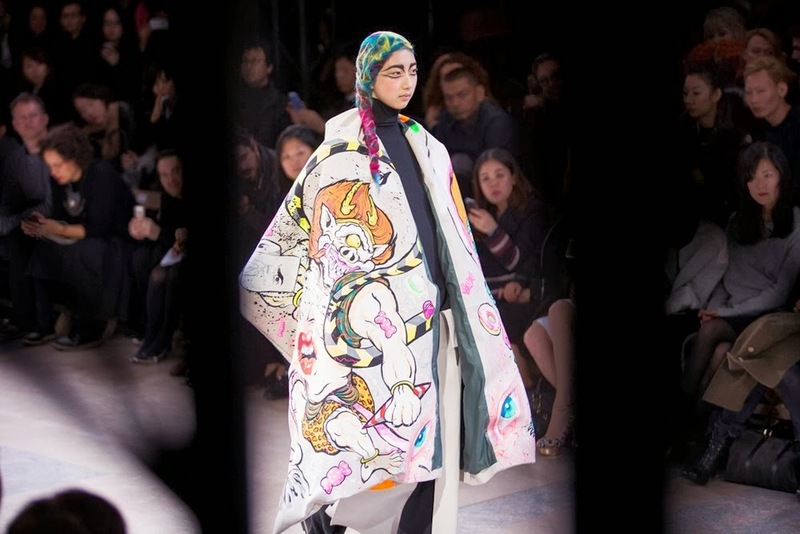 It feels like it's the 90's again when a Japanese wave called the Anti-Fashion took Paris Fashion Week. 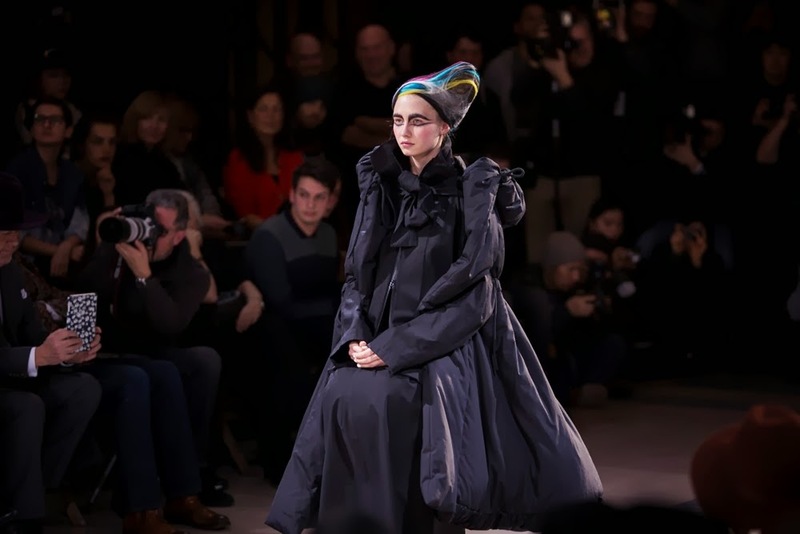 There is anti-conformism in the air when you focus on Junya Watanabe, Comme Des Garçons and Yohji Yamamoto, all referencing to their past collections but without looking backward. It was definitely something new they brought to the catwalks. These three make us wonder whether it is anti or hyper fashion? 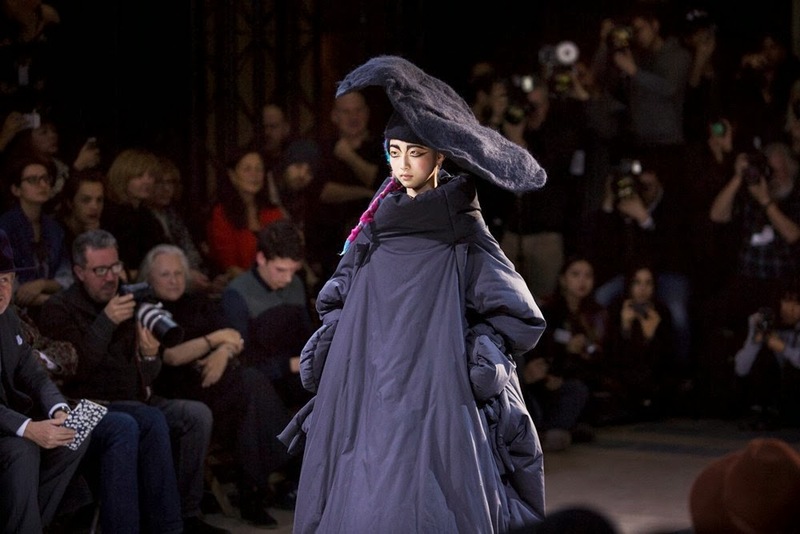 Huge is something that has no meaning for Yohji Yamamoto, but proportions, architecture and design matter much more for him. 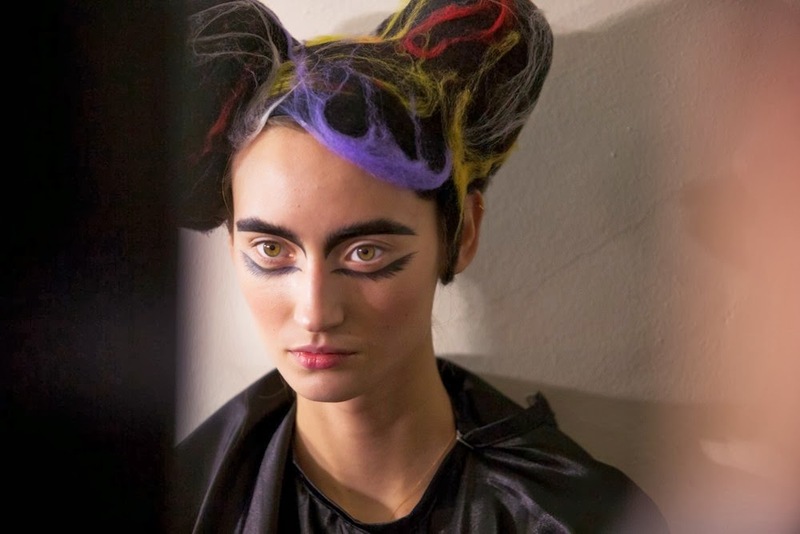 It was all about how to create a new look while paying tribute to his past collections. It's probably impossible because there is no direction Yamamoto hasn't explored yet as he wants to start from scratch collection after collection. Yamamoto challenged black and made it unique. 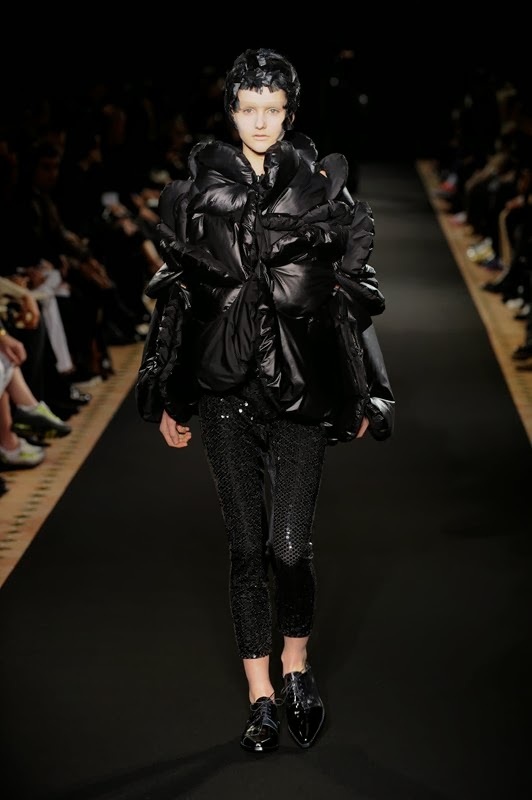 Black has never been so intense on these gigantic cocoon coats. It was visually very provocating and very shocking. Black is the easiest colour to wear, therefore it is very difficult to modernise it. There was no balance on the prints that were outrageous and confusing on purpose. All the shapes looked heavier and heavier just like the matching knitwear which was also disturbing. Everything felt odd as the shapes were tortured and deformed. 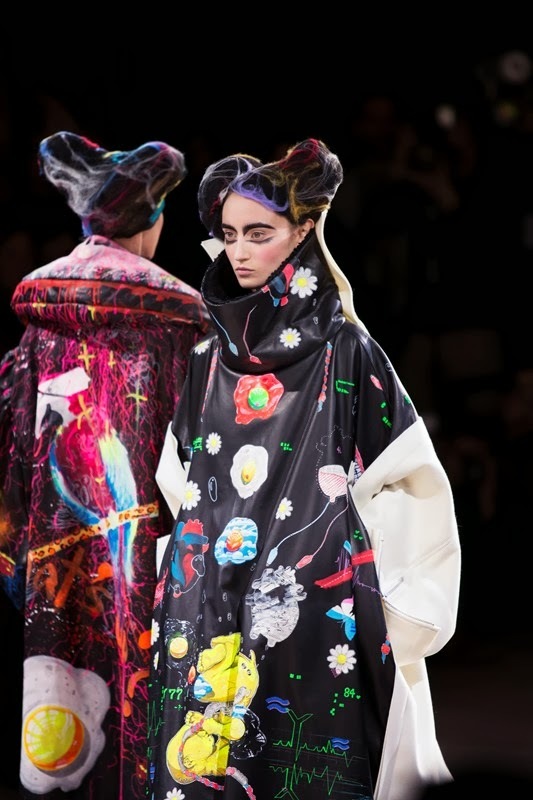 At the end of the collection, it was monstruous and ugly as the prints embodied this idea. Yamamoto literally delivered a maximalist collection in opposition to the austere or trendy minimalism and that's the definition of avant-garde. "I didn't want to be just another fashion brand. I want to make new statement." 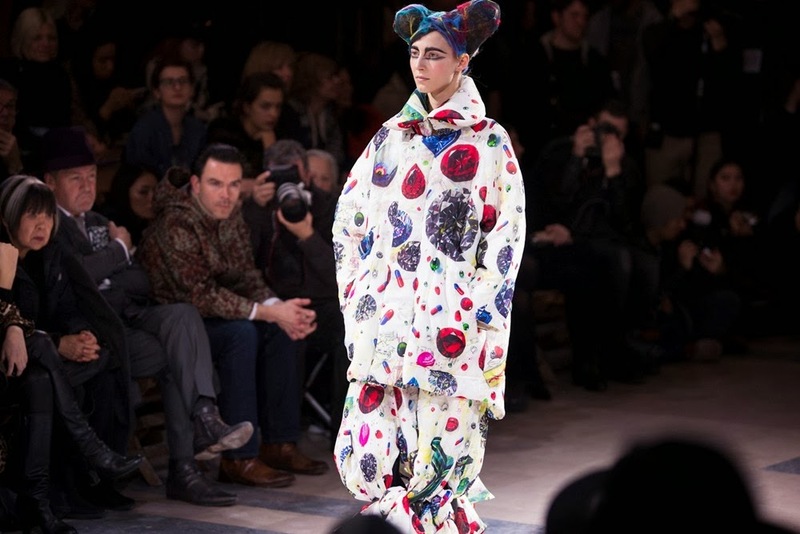 That's probably the starting point of each Comme Des garçons collection. 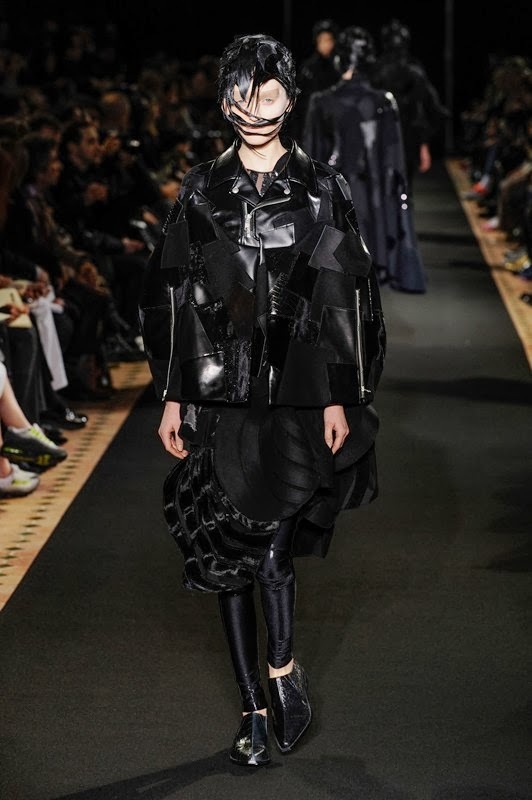 Rei Kawakubo wants to create, in other words to part from her previous collection. 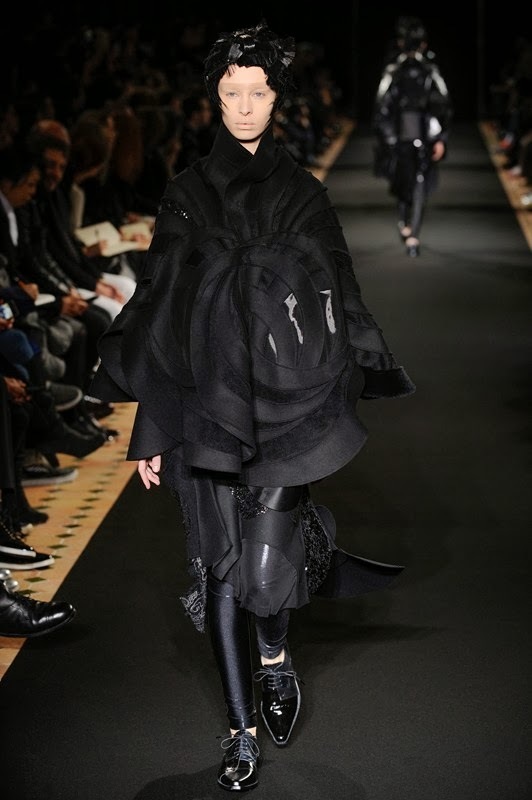 Black, ugly and deranged is something that you could expect from Kawakubo, but you don't have a clue on how her unique language is going to be translated in the next collection. "Beautiful or stylish is a personal feeling." I don't have a definition of beauty." This collection was the horn of plenty of weirdness. 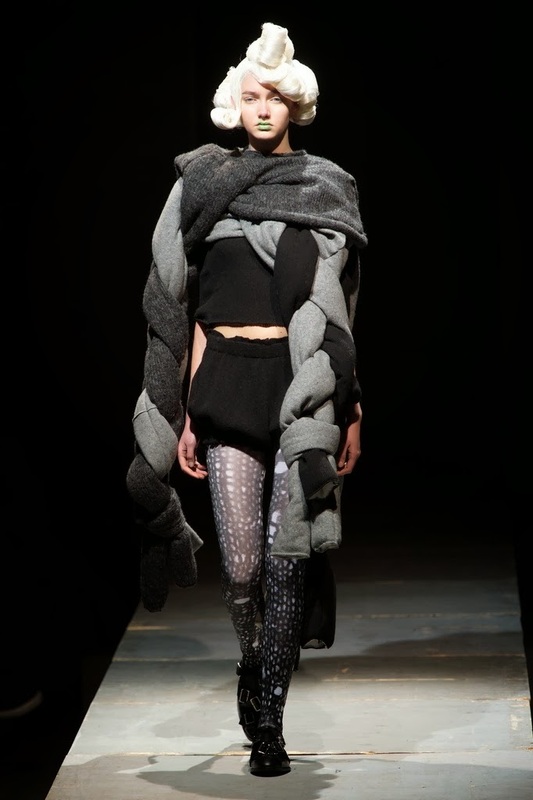 It was the idea of accumulation: bits and bots of heavy knitted fabric to create a dress, a vest, a hoodie, a coat. Everything was updated under the process of decontruction. 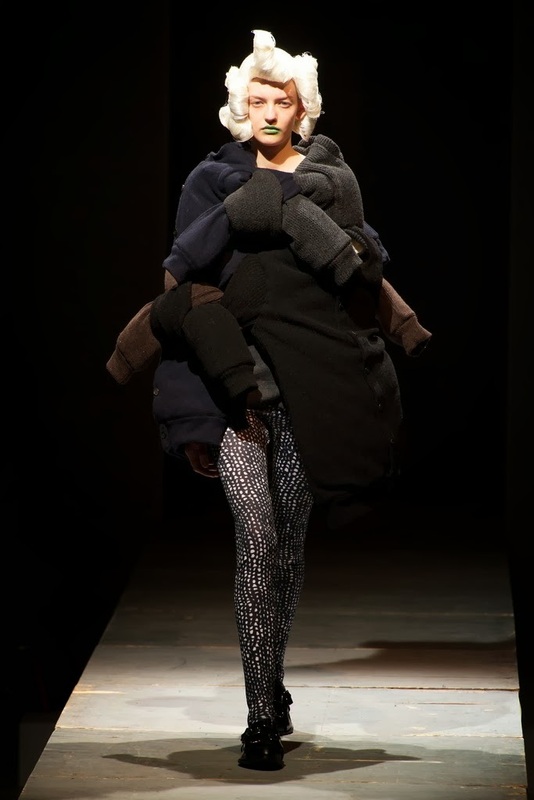 There were huge cages made out of tubes over an oversized long sleeved jacket, a coat made out of large tubes wrapping the body and worn over printed leggings. 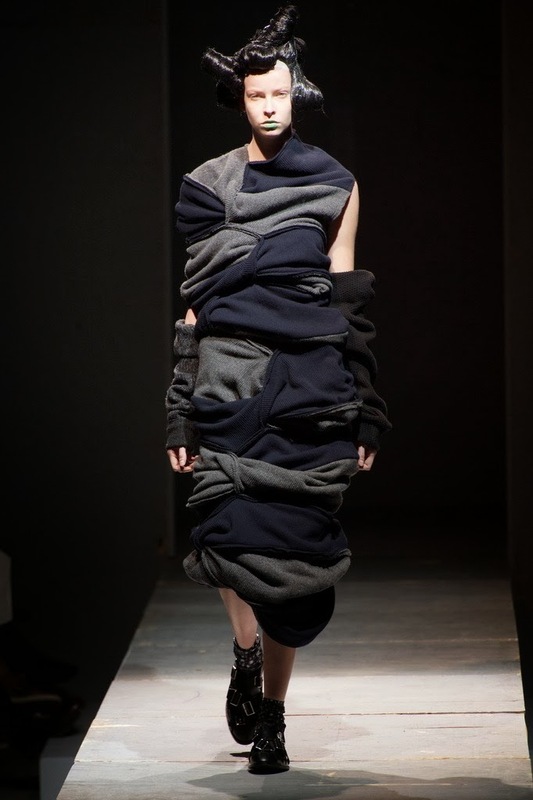 There were also this chaotic knitwear almost covering the face of a model and literally covering her body. It was brutal uniform, reminded us of the idea of Hiroshima Chic (her first collection presented in Paris in 1981), as if literally horror can be sophisticated. 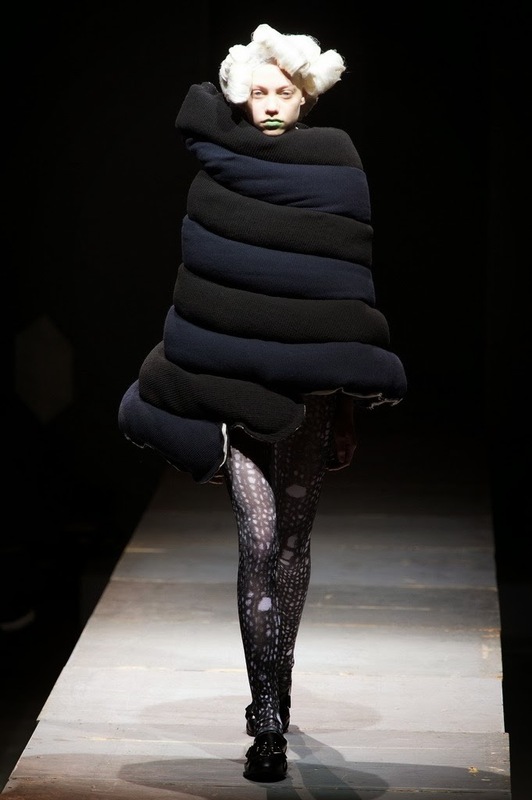 Junya Watanabe joined the design team at Comme Des Garçons in 1984. Since then, he has been appointed at different levels of creation in the maze of the CDG lines. 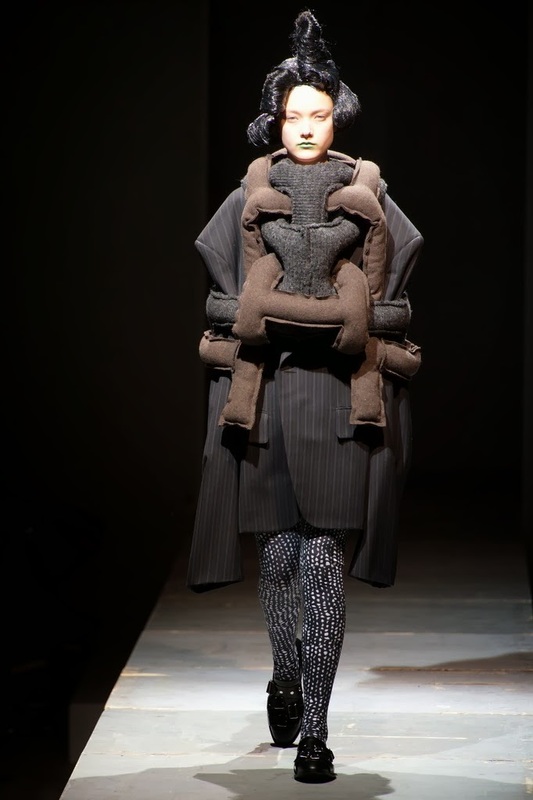 Junya Watanabe Comme Des Garçons was launched in 1992. The name of his label suggests a collaboration with his pygmalion so it is not surprising that his label is as avant-garde as CDG and especially his womenswear line. Black and patchwork were expected since they are Watanabe's signature. The statement was to bring the trendy black to an unexpected dimension. Here there were nothing monstruous here but only a happy celebration of black. Deconstruction and patchwork altogether were at the core of this collection as every piece had gone through these processes. There were graphic patches like circle, triangular or rectangular made out of sheer, tulle, wool or skin displayed on dresses, skirts, pants and coats. 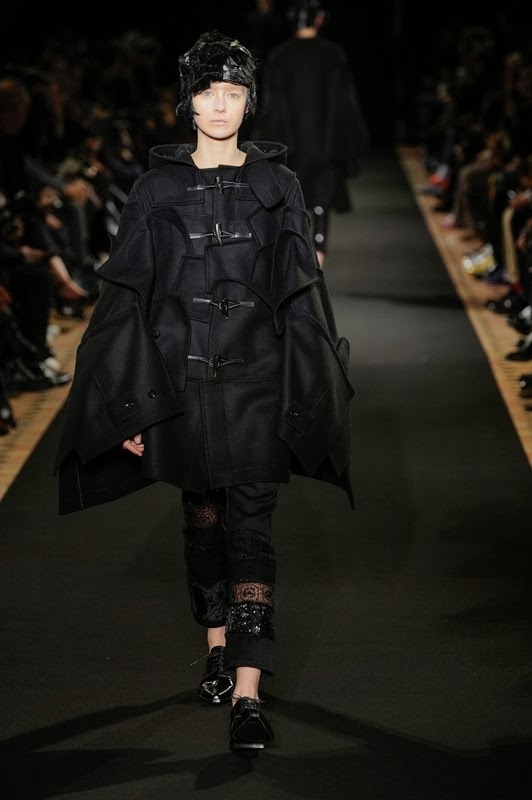 There were also patchwork skills on a-line coats, duffle coats, biker jackets and down jackets. 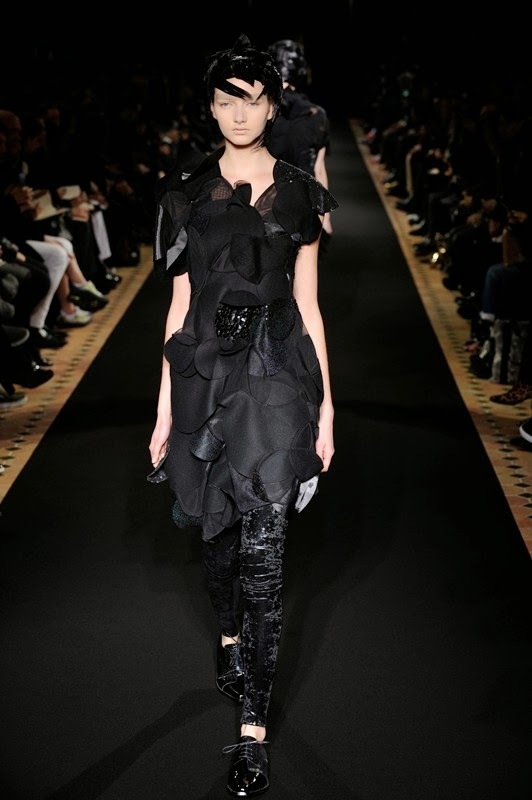 It was an extreme and unconventional sophistication, establishing patchwork as Watanabe's obsession number one. 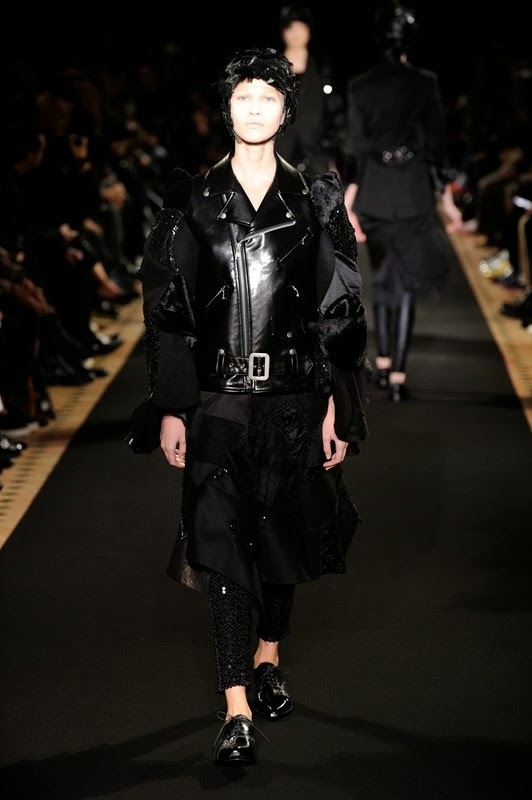 Watanabe's collection was referring to the past but black appeared as a brand new manifesto.